Surgical Orthodontics involves collaboration with an Oral and Maxillo-Facial surgeon or sometimes an Oral Surgeon to help correct various dental problems. In other situations, there is an underlying jaw problem which means that the bite is so severe that orthodontic treatment cannot correct the problem alone. The severity of such a bite problem can impact a person in a number of ways. Here are a few examples of how an abnormal bite can impact a person either in function or aesthetics. In these situations, a combination of orthodontic treatment to straighten the teeth plus surgical treatment to realign the jaws is warranted. This is called orthognathic treatment, and it is a team effort which involves working together with an Oral and Maxillo-Facial Surgeon. A comprehensive orthodontic assessment will confirm whether orthognathic treatment is needed. When it is required treatment usually begins when growth has stopped, this is typically after 16 years of age for females and 18 years of age for males. Working along side an Oral and Maxillo-Facial Surgeon allows us to formulate a joint treatment plan. Once a patient is ready for treatment, then they start off with the pre-surgical orthodontic phase which helps move the teeth into a better position. This phase of treatment is often the longest and can take up to 18 months in some instances, in more complicated situations a little longer. 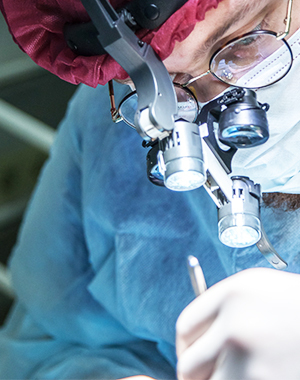 Once the teeth have been aligned, and in an optimum position for the surgeon then the patient will have their surgical procedure as an in-patient in hospital. Once the surgeon is happy with the new bite, then the final phase of orthodontics can be commenced, which can be up to six months.